Bruce Kern is returning to the Brothers once again! The Chinatrust Brothers have signed the former Monkeys’ right-hander Bruce Kern as the team’s fourth backup foreign player. According to the Brothers’ press release, the Brothers have acquired the approval letter from the Lamigo Monkeys before approaching Kern. The 30-year-old righty is expected to arrive in Taiwan for his fourth CPBL season around late February. *Note: If without the approval letter from the Monkeys, Bruce Kern will not be able to attend Brothers’ spring training until March 10. After 2016 and 2017 season with the Chinatrust Brothers, Kern was signed by the Lamigo Monkeys in 2018. He wound with a solid 3.28 ERA, 1.41 WHIP and 2.59 WAR across 25 starts, 156.1 innings. With the signing of Nick Additon, Mitch Lively and Eric Wood as the 2019 first team foreign players. 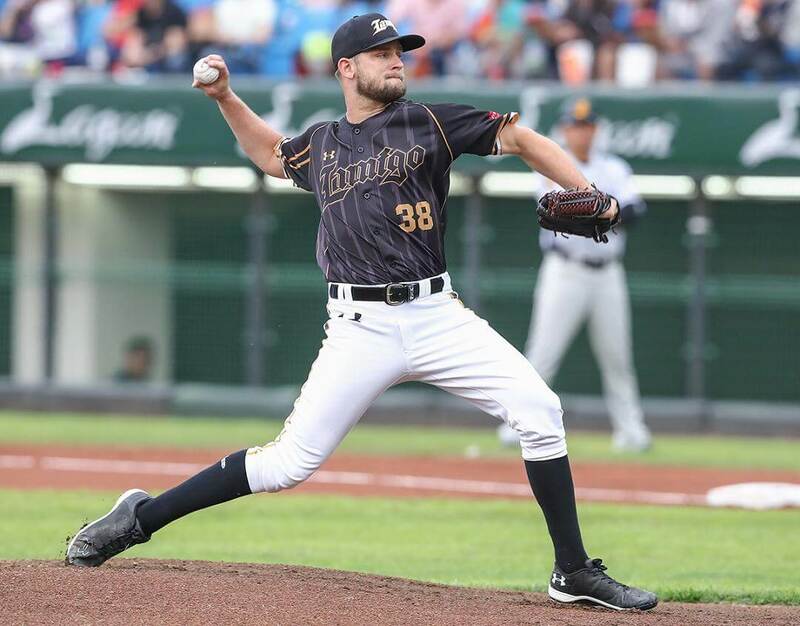 Bruce Kern will begin his 2019 CPBL season with the farm team while waiting for his chance to be called up. Smart move by the Brothers. Smart signing indeed, picked up someone who has been around for a while, understand CPBL hitters and Taiwan weathers.